Amazon has a reputation among customers for speed and efficiency, but some employees at its fulfillment centers are speaking out to NBC News alleging the company prioritizes speed over worker safety. 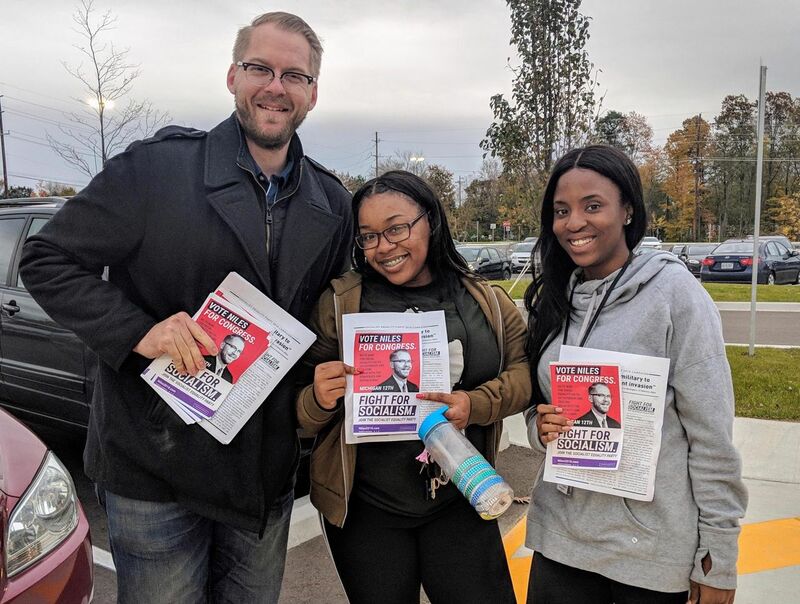 With a week to go before the November 6 midterm elections, Socialist Equality Party candidate for Michigan’s 12 congressional district Niles Niemuth and a campaign team spoke with workers at the recently-opened Amazon facility in Romulus, the western most city in Detroit’s Downriver suburbs. The facility lies just outside the boundaries of the congressional district but employs workers from throughout the area. Romulus, like the rest of Downriver, is home to a working-class population of nearly 24,000 people. The region has been devastated by deindustrialization over the past 30 years. The largest single employer is now the Detroit Metropolitan Airport, which offers largely low-wage service jobs, where many Amazon employees work as a second job. The Amazon facility in Romulus was opened in August and built with a $5 million grant provided by the Michigan state government. Amazon routinely selects areas that are hit by high unemployment and underemployment, where workers have no choice but to accept the brutal conditions and poverty level wages that it offers. For many workers in Romulus, Amazon is a relative improvement compared to fast-food jobs with no benefits. The recent announcement that the minimum wage will eventually be $15 an hour—which is yet to kick in for many workers at the Amazon facility—has also made the job more attractive, despite the fact that this wage would condemn workers to a lifetime of poverty and make many unable to collect any government assistance. 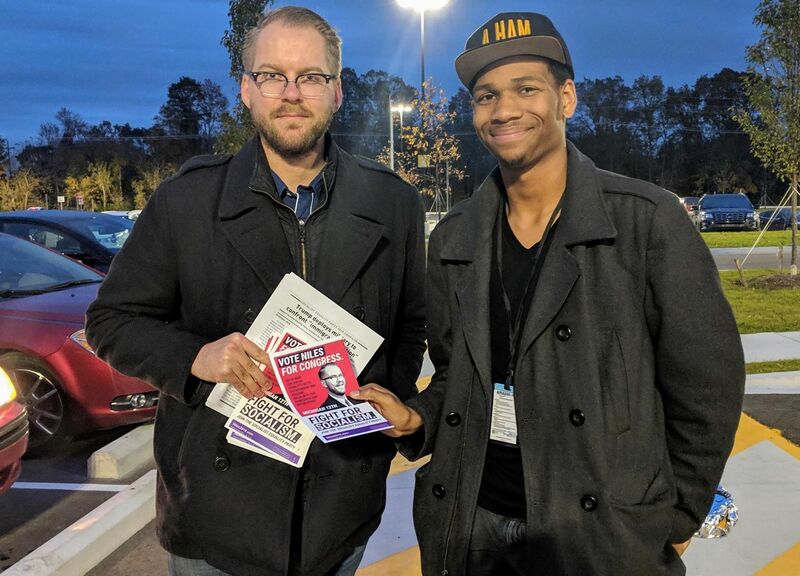 Niles explained that his campaign for Congress was aimed at building a political movement of the working class, in opposition to both the Democrats and Republicans, for socialism. This would include the transformation of the giant corporations like Amazon into public utilities, democratically controlled by the working class as a whole, as part of the organization of the economy according to scientific planning, rather than private profit. Two workers at an Amazon fulfillment center in Baltimore, Maryland died late Friday after a partial building collapse triggered by a severe weather event: here. It now appears that the supposed competition was a ruse to bid up the incentives provided by Amazon’s desired locations. It cannot be an accident that in choosing Crystal City, a virtual stone’s throw from the Pentagon, and Long Island City, a short cab ride from Wall Street, Bezos is placing his new headquarters at the heart of the military-industrial complex and the center of US and world finance. The Amazon CEO already owns the Washington Post, enhancing his ability to influence policy decisions at the White House and in Congress: here. This entry was posted in Economic, social, trade union, etc., Human rights and tagged Michigan by petrel41. Bookmark the permalink.